Left to right, the handsome actor and truly nice person, ROBERT WAGNER. My dream girl poker partner and talented singer-actress, POLLY BERGEN. And, the late, great King of the road, ROGER MILLER. A trio to dream about. I have to admit this was a tough one. MATT DENNIS. Who is Matt Dennis? 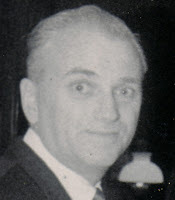 He was a lounge singer and band leader who just happened to write little ditties like: "Angel Eyes,"" Everything happens to me,"" Let’s Get Away From it All,"" The Night We called it a Day,"" Violets for your Furs,” and "Will You Still Be Mine." Matt was one of my favorites. He is gone now and I felt I owed him a tribute on my blog. Bless you Matt. Here was one of the easy ones. JACK LEMMON. I took this at a friendly little poker game. Jack not only took all of my money. He kept me laughing as he raked in the chips. 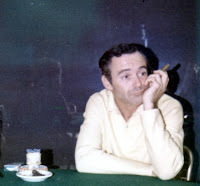 What would you have bet to stay in the game with Jack Lemmon? MARILYN AND ALLEN BERGMAN, one of the most successful songwriting collaborations in an era of great popular music. Think 16 Academy Award nominations, multiple Emmys, Grammys, and three Oscars for "The Windmills of Your Mind", "The Way We Were", and the score for "Yentl. And like the Energizer bunny, they just keep going and going. ROGER WILLIAMS. I will always cherish the gift this musical icon once gave me; a practice piano keyboard that made no sounds. He did this so I could practice finger syncing his hit recordings. Named the greatest selling Pianist in history by Billboard magazine, Roger Williams has an astounding 18 Gold and Platinum albums to his credit. Autumn Leaves stands as the greatest selling piano recording of all time. And, he gave great Christmas parties. Here's another easy one. 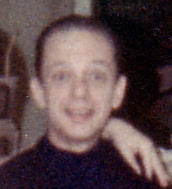 DON KNOTTS. He was one of the smartest actors around. How smart was he? So smart that he was able to convince all of you that he was a REAL goofus. Very high on my nice guy chart. 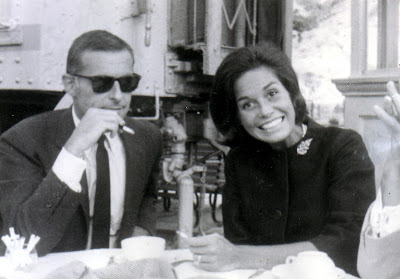 MARY TYLER MOORE and her husband GRANT TINKER. I took this picture at the LA Griffith Park train museum during a party celebrating Roger Miller's appearance at the outdoor Greek Theater. SANDY KOUFAX? Yes, Sandy Koufax. This LA Dodger's great pitched a perfect game in Major League Baseball against the Chicago Cubs at Dodger Stadium on September 9, 1965. Koufax, by retiring 27 consecutive batters without allowing any to reach base, became the sixth pitcher of the modern era to throw a perfect game. The game was Koufax's fourth no-hitter, breaking Bob Feller's Major League record of three (and later broken by Nolan Ryan, in 1981). Koufax struck out 14 opposing batters, the most ever recorded in a perfect game. In short, "27 up, 27 down". 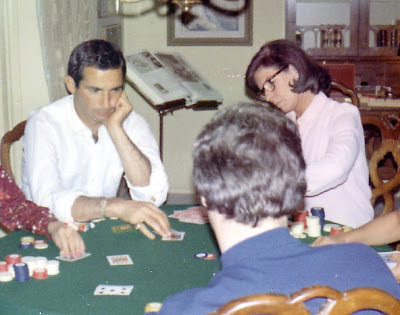 He went on to winning many more games, including this one played out in the Thaxton casino. 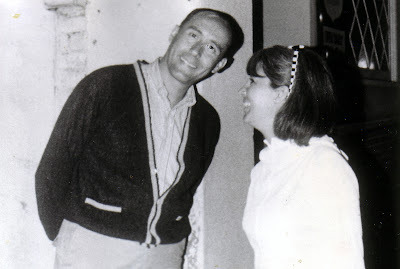 Could that be HENRY MANCINI spotted outside a restaurant in Hollywood by paparazzi wannabe, L. Thaxton? Henry was a guest many times on the LT Show. This musical genius won a record number of Grammy awards, including a Grammy Lifetime Achievement Award in 1995. 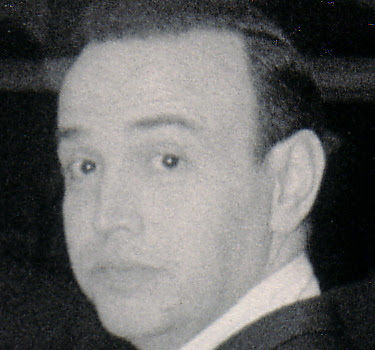 His best-known works are the jazz-idiom theme to The Pink Panther film series and Moon River. But, you already know all that. 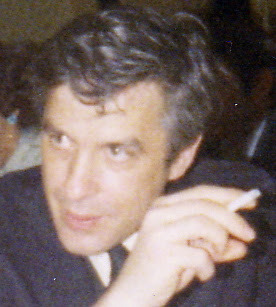 Last, but certainly not least, the late, great actor-director JOHN CASSAVETES. This was taken at the Dorothy Chandler Pavilion during a wonderful dinner before a ballet we were attending. With him was his beautiful and talented wife GENA ROWLANDS. What made the night so memorable was that we all had such a wonderful time we repeated the experience the very next night. Same dinner (but a different ballet). My wife Barbara and I will never forget those two magical evenings. 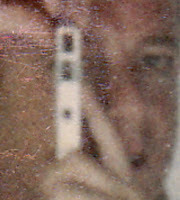 The sad thing about all this remembering of friends is how many have "the late" preceding their names. A cue for all of us to start communicating again with all those friends who are still alive and kicking. I'm writing this on Thanksgiving day 2007. How about picking up the phone right now and wishing an old friend a Happy Thanksgiving (even if Thanksgiving is over). And a Happy Thanksgiving to all of my readers. May all your days be filled with joy. I'll be watching you (and cliquing). 1. Robert Wagner, Polly Bergen, Roger Miller. 7. 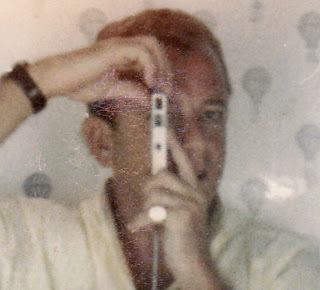 Brad Tinker and MTM. Close. But, no candy cigar. And a (belated) HAPPY THANKSGIVING to you, too, Uncle Lloyd AND to the rest of the mousers here. I hope you all didn't over-do it. Me? I'm STILL eating and it's almost 8:30 PM! I'm "one of those" that can eat and not gain a pound.......I can even go for a pizza right now, but my favorite pizza parlor is closed today. Oh well, I'll go there for lunch tomorrow. YES, Mr. T, I would love more photo contests like you've had! I hope everybody else does, too! ENCORE!!!!!!!!! I enjoyed the contest. I gave it my best shot (although I should have looked up Mr. Tinker's first name before posting). Apparently, the lack of 60s musical pop stars frightened away the usual contestants. Of course, Polly Bergen was a musical star of sorts, but only to those of us who stayed up on school nights to watch The Tonight Show. Anyhow, don't be discouraged by the lack of response to this contest. Even though you did not receive many entries, I'm sure everyone enjoyed the photos. I'm a lurker who missed 3. I recognized all but Matt Dennis (I'm ashamed to say I'm not familiar with him), Sandy Koufax (I thought it was Tony Perkins -- I've never noticed their resemblance before), and Henry Mancini (I should have gotten this one). 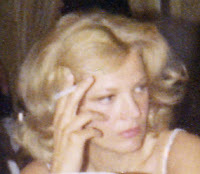 Cassavetes cannot be confused with anyone else, and I have to admit that I wouldn't have recognized Gena Rowlands -- she looks lovely in that photo. I have always idolized Sandy Koufax, but without an LA cap, I can't believe that I missed it. Roger Miller, there was a real funny story about a Congressman running for US Senate, who I guess out of the blue in the middle of a debate quoted his "Dang Me" song and ruining his career. I'll post something on my blog about that soon. Polly Bergen looks really good for her age--she played Felcity Huffman's mother on Desparate Housewives this season. So does Roger Williams, who recently celebrated his 83rd b-day last month (Correct me if I'm wrong) and the o'le boy still plays. Happy Beleted Thanksgiving all you Mouse Clikers, and Uncle Lloyd and hopefully this Writer's Strike will end real soon. He can be seen at the Crystal Cathedral (He goes to that church, btw).